Douglas College is taking many small steps—and some big ones—to reduce its carbon footprint and become a more sustainable institution. But if you were to wander around campus today, how many of these green initiatives could you identify? They aren’t always easy to spot, even though they’re all around us. Get yourself up to speed on what’s green at Douglas College with this guide. Next time you’re in the concourse on the New Westminster Campus, take a look up. You’ll see the result of a major roof-replacement project the College undertook over the summer of 2013. The old single-pane roof was removed and a new roof system was put in place. The new R-10 Kalwall roof system features specially designed translucent panels that limit the amount of natural daylight that filters in. It also has special double-pane glazing that prevents heat from escaping from the building. What’s so great about all that? Stay hydrated and help the environment. 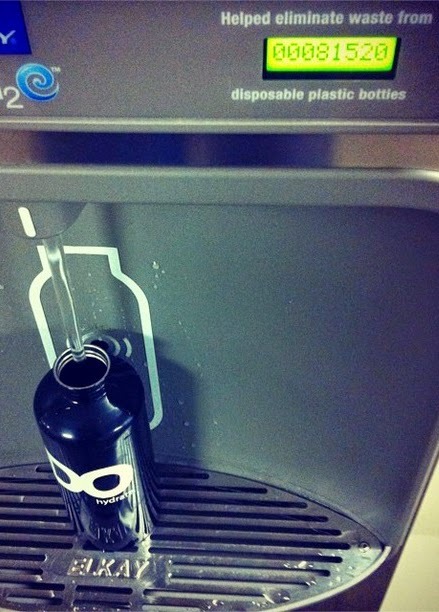 Just take your reusable drink container to one of 12 water bottle-filling stations located on both campuses. Since installation, a potential of 304,500 in disposable plastic bottle purchases have been diverted. 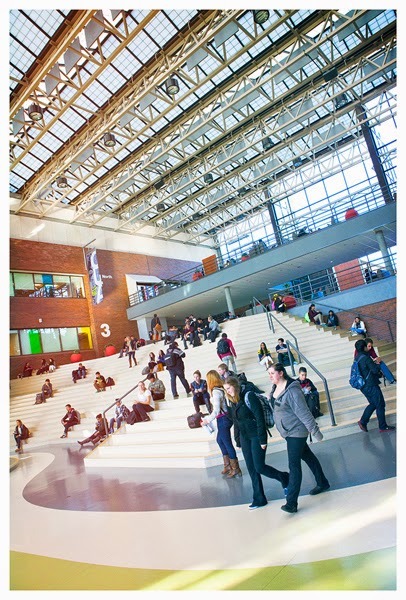 That’s nearly 193,000 at the New Westminster Campus and over 111,500 at the Coquitlam Campus. Each station displays a running tally of how many bottles have potentially been diverted. That means you can see the difference you’re making every time you fill up. Here’s another bright idea. At the New Westminster Campus, electrical consumption has been reduced by replacing older fluorescent lamps in all corridors of the north and south buildings with more efficient lamps. As well, the College added Wattstopper occupancy sensors, which automatically shut off non-emergency corridor lights when no one is moving through the passageways. 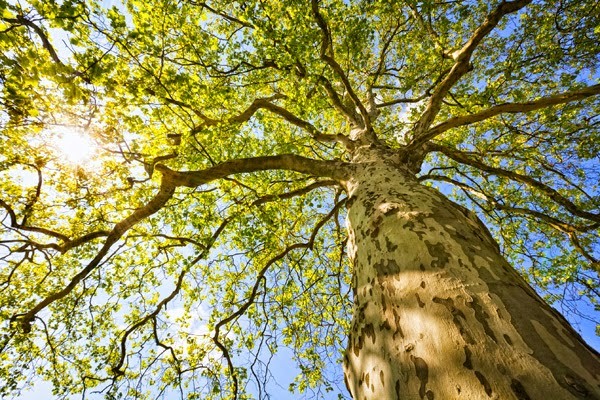 It’s also important to protect the lungs of the Earth—forests, that is. To that end, Douglas College is doing more than just recycling used paper. The College also has a purchasing policy where all office paper should contain a minimum of 30-percent recycled content. In 2013, the College achieved 76 percent compliance with this initiative and we’re on our way to reaching 100 percent. Got any tips on how to live green? Share them in the comments section below.